HOW do I use SlickVPN with It? Have you heard of it? It’s called Kodi. What does Kodi do? It is self-described as “Open Source Home Theater Software.” Think of it as a very robust media player—one that can give you access to watch virtually any video or picture source that you have, or that you acquire. So why the fuss? Well, that’s where it gets interesting. The ‘fuss’ is, by and large, centered on all the add-ons available to download and install. Some of these add-ons are used by users with Kodi to watch licensed content that was not purchased. Is it Legal to use Kodi? Absolutely. Kodi is free, open-source software. You install it on a computer or other supported device and configure it to access the video sources that you own. Kodi in and of itself and used as it initially installed is perfectly legal. Users can also download add-ons available on the internet that work with Kodi—these add-ons are easier for enthusiasts to make because of the open-source nature of Kodi. Some of these add-ons may be used to view content that may or may not be licensed. And that is where the legal debate begins. If a user of Kodi watches a movie that they purchased, that use is almost certainly licensed use. But installing an add-on that provides access to movies or other content not purchased is in all probability not a licensed use. The fact that Kodi is able to read meta-data with the video files—meaning it displays box covers, content descriptions, chapters, etc. just like purchased content does not make any pirated use any more legal. Here is an official list of Kodi approved add-ons; any seller on the internet claiming to sell a bundled package with Kodi and add-ons that allow viewing of unlicensed content should be avoided. Kodi has a great quick start guide that can get you up and running in minutes. There’s also an active Kodi community that can answer almost any questions that might come up. The software can be installed on a computer with the computer hooked to the TV. It can handle streaming easily—including your favorite streaming service to which you have subscribed. You can even learn how to get an external app to enable DVR-like recording/pause functions and install it easily: just look here. Some streaming servers are set to only feature certain content only for users in certain countries. Lots of sports games, news, features, and more are available only within those countries—unless you have SlickVPN. Then, you can choose a server located in the same country as the content you want to access and then, BINGO! You’re connected… Slick! Say that brand new movie is being released worldwide at midnight. And say you are in the USA. If you connect to a server in Singapore, guess what? They are 13 hours ahead of the east coast—GMT +8 instead of GMT -5. That means you can get that movie at 11AM EST! You don’t have to be doing anything related to piracy to want to protect your privacy. With SlickVPN your Internet Service Provider (ISP) won’t be able to see and track everything you are doing and whatever you are streaming. SlickVPN creates an encrypted tunnel through which all of your data is transmitted. End result? No one can monitor or affect what you are doing online. And all the sites you visit are masked. You can browse, download, and stream with complete anonymity with SlickVPN. All traffic—including downloads and streams—is encrypted with your IP address masked by the VPN server. 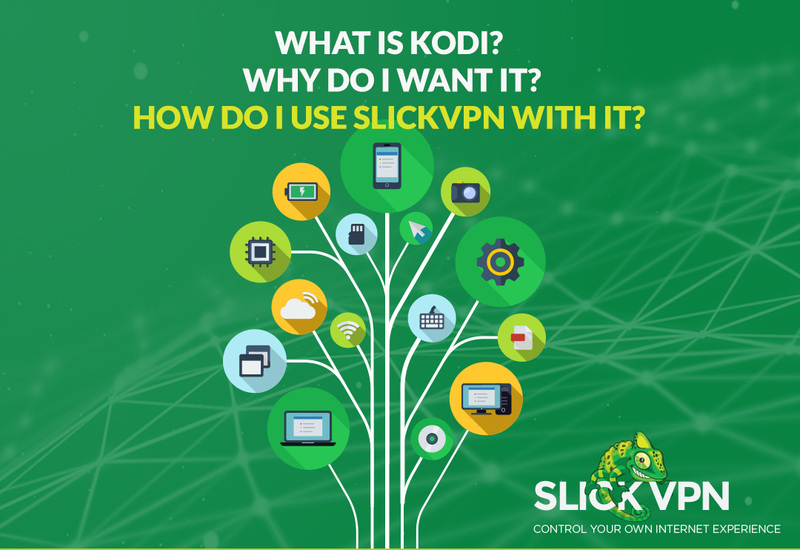 You can use your computer at home to connect to SlickVPN or on the road with your mobile device. Use SlickVPN on your laptop—anywhere you are, and no matter what you are doing– you can protect yourself with SlickVPN! No one can monitor or affect what you do online. The encrypted tunnel is super-strong, meaning that the sites you visit are masked, as well as your unique identifiers. You can stream in privacy, access geo-restricted content, and download without your IP address showing up.